DataMatrix Medical understands the challenges that you and your medical practice face. Many doctors report feeling pressured to look for ways to both improve their patient care and see more patients each day. One simple way to do that is to use our highly trained and qualified transcriptionists and virtual scribes to reduce time spent on dictation, EHR data entry, and documentation. Choosing the right medical transcription company can be a difficult task but finding a medical transcription company that provides accurate and reliable service will provide a tremendous help to any medical practice. Professional transcription services can reduce physician stress and burnout, increase time spent with patients, and even free up more time to spend outside of work. We have perfected our process for medical transcription over the last 20 years, and we are able to customize our services in order to meet your needs. Your physicians will dictate their notes using our convenient app, the phone, or a voice recorder. The notes are then sent to our professional transcription service. The medical transcriptionists assigned to your practice will get to work transcribing your dictation and ensuring that all of your notes are recorded in the medical chart correctly. The transcribed notes go through a rigorous multi-tiered quality assurance process in order to ensure that everything is accurate. Within 24-hours, your notes will be entered directly into your EHR. If you are using a voice recognition software, you also have the option of using our professional transcription services. Our team will proofread and clean up the data inside the EHR to assure the highest level of accuracy possible. Reports can be uploaded directly to your EHR. Discrete data can be entered into individual fields within the EHR. Each section of a report can be entered into different sections of the patient chart. The safety and security of your information is of the utmost importance to us. You can trust that your confidential information will remain secure when using DataMatrix services. 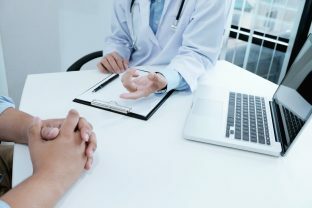 At Datamatrix, we understand the unique challenges that you and your medical practice face. 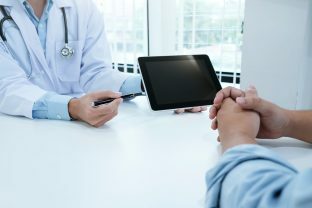 With an ever-increasing amount of documentation required for compensation, reimbursement, and legal protection, our mission is to provide you with comprehensive and innovative, professional medical transcription services and document management services that seamlessly integrate with your current EHR. When you partner with DataMatrix, every provider in your practice will be assigned a dedicated team of highly trained transcriptionists. This dedicated team of medical transcriptionists ensures that your provider will always have someone who is an expert in their specialty and is familiar with their dictation style. As your medical transcription service provider, our team is an extension of your team, providing reliable service when you need it. Dictate using our convenient iPhone or Android app, on a voice recorder, or on the phone. We also offer virtual scribe services. If some of your practitioners are using voice recognition software, you can utilize our editing services to ensure that the voice recognition data is accurate and appropriately entered. Our professional transcription services are used by more than 250 medical practices and hospitals throughout the country. Our clients love our dedicated account management, rapid turnaround, and the convenience of our easily customized service. Best of all, DataMatrix will never require a locked-in contract. We are happy to offer a free trial so you can see just how convenient our services are! Give us a call, and let us show you how we can customize a solution to improve your productivity and free up more of your time! 1. Your physicians will dictate their notes using our convenient app, the phone, or a voice recorder. 2. The medical transcriptionists assigned to your practice will get to work transcribing your dictation and ensuring that all of your notes get into the medical chart, correctly. 3. The transcribed notes go through a rigorous multi-tiered quality assurance process to be certain that everything is correct and accurate. 4. Within 24-hours, your notes will be delivered and entered directly into your EHR.